The biggest challenge after developing and launching a mobile app is assuring that your users continue to use the product beyond the initial install. Keeping the churn of users as low as possible is often referred to as user retention, making sure that people who download the app will continue using it. In this tutorial, we’ll explore strategies that can help improve your retention rates to keep your user base consistent and growing. Before you’re able to improve the retention rate of your users, first and foremost you need to assure you’re actually tracking retention rates. Mixpanel helps you track funnels and user retention over time. Most modern analytics tools give you an indication of user retention. If you’re currently not using analytics or your current solution doesn’t keep track of user retention, then I can recommend Mixpanel as a solid choice. Once you have some data to work with, you’re ready to get started. What is a good time frame to track user retention for? This mostly depends on what kind of app you have. Certain apps require a lot of user engagement (e.g., a social network application) while others have a much lower user engagement (e.g., an airline application). An airline application will probably have a lesser usage rate than other apps, but it can still have a very high retention rate. Before you decide whether the retention numbers are good or bad, you first need to determine what would be considered a healthy amount of usage for your product for a typical user. Is it once every week or once every month? Or is it every time a particular service is purchased? One aspect to take into consideration is that there are very few apps that are consistently used on a daily basis. Don’t fall into the trap of taking daily usage as a standard for app retention. The bottom line is to be realistic. I typically work with the following time frames to track user retention rates, but feel free to play around in your analytics tool of choice to see what works best for you. It is important not to compare user retention rates to other products. There isn’t a magic number to pursue, because user retention includes a lot of factors which you may not always be in control of. Focus on your own analytics data and work with that. To summarize, collect your application’s analytics data and use that as a starting point. You can then start to experiment to see how user retention rates evolve over time by tweaking the product, branding, marketing, and adding new features. In the next section, I’d like to focus on some common mistakes that can affect the user retention of your application. From my experience, most major improvements I’ve seen in user retention were closely related to user registration. You might wonder why as user retention focuses on long-term usage rates. If an app has a long or complicated sign up process, users might find it cumbersome and not bother at all. This means you immediately lose a user right after they have downloaded the app. This is a situation you want to avoid at all cost. My advice is very simple, reduce as much friction as possible. Users aren’t patient when they get their hands on a new product. This is a retention issue that you can easily solve. The iOS Buzzfeed app is an excellent example of a great sign up flow. A big game changer here is signing up through Facebook. Signing up by tapping a single button is extremely powerful and you can still offer a more traditional sign up with email as an alternative. In the latter case, developers sometimes attempt to get more information about the user, such as gender, age, and location, because they can’t get that data from Facebook when a user signs up with an email address. It is understandable from a business perspective that you want to collect data about your users. However, every single field a user has to complete in order to complete the sign up process is an extra hurdle that can be avoided. It’s much better to try and get this type of information in a user profile that can be filled out at a later stage. If your conversion from downloads to actual users is low, then sign up is typically the bottleneck. The conclusion is to keep it simple. Get people through the sign up process as fast as possible so they can start using your application. Another often overlooked component is onboarding. We already know that the sign up process should be as frictionless as possible, but the user also needs to understand or learn what your application is about and how it works. The onboarding process is the first taste the user gets of your application and it’s therefore an important aspect or your application. The best onboardings are like introductions, short, sweet, and memorable. It helps people familiarize with the product and that’s something you need to use to your advantage. A very common advice to increase engagement and user retention of a product is to use push notifications to catch the attention of the user. I’m sure you’ve experienced this strategy as a user. You receive a push notification and you wonder why you’re receiving it. Some examples I’ve personally seen are Shazam promoting their #1 hits and YPlan notifying you there are last-minute deals. It is something very tricky. When a user receives a push notification and it isn’t relevant to him or her, it will be a frustrating experience. Use push notifications in a way that makes them relevant to the user, not purely to drive people back to the app. If the notification isn’t relevant, then it won’t take the user back to the application—the user will ignored it—and it will actually increase chances of a user deleting the application altogether, because they are receiving notifications they didn’t sign up for. It’s easier for a user to delete an app than to deactivate push notifications, keep this in mind. The question you should ask yourself when you’re about to send a push notification is whether you would enjoy being interrupted and receiving that push notification as a user, even if you have your mind on other things them moment you’re receiving it. One of the most obvious ways of keeping users interested in your product is adding features to keep the product fresh. This is also one of the more trickier things to do, because you want to avoid adding features for the sake of adding features. You don’t want to have a bloated product. It also depends on the type of product you’re building. Certain types of apps require more updates than others. A game can easily capture interest by adding new levels or an expansion. Monument Valley jumps to mind. A photography or social app, such as Instagram, doesn’t really need that, because the community takes care of the engagement of the product. So before working on updates, think how it would contribute not only to the product, but also to the users and community if there’s a community aspect. Finally, most of user retention comes down to the product itself and the way it is designed for engagement. We come across new products continuously, each offering their own unique solution for problems in our lives. Some problems require constant solving, such as staying in touch with people we care about. Other problems happen less often, such as using your mobile boarding pass to board a plane. With that in mind, some products have opportunities to increase engagement and, as a result, increase user retention rates, because the product stays on top of mind. A good example is VSCO, which added a community platform to their product in addition to their photo editing suite. This is a whole new layer of engagement built on an existing set of features. Before this addition, it was a utility and the app was only used to edit photos. Now people check in more regularly if they want to engage with the community. As result of that, people are less inclined to stop using VSCO, because it’s more top of mind for users as a photo and photo community solution. 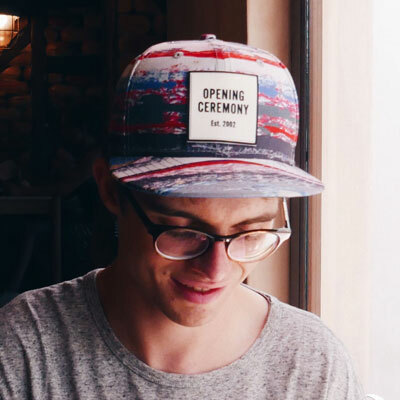 VSCO increased product engagement by adding a community network. For utility products, such as financial apps, the usage tends to be on the lower end, but user retention remains pretty high if the functionality is right. It solves the user’s problem effectively. For utility products, it rarely makes sense to add new forms of engagement unless it actually provides more value. Your reminders list doesn’t need a social network. Typically, adding some form of social layer where people can interact with a community or friends are a couple of methods to increase engagement if you’re product is suited for it. Sometimes it comes down to content, such as new levels for a game. One trick to grow your app’s user base is by making your app available on multiple platforms. Instagram, for example, has mobile clients, but it also has a website people can go to if they’re not on their mobile phone. An example of a product with an excellent multiplatform strategy is Netflix. The beauty of working with multiple platforms is that each platform has its strengths. Every platform is also a new touch point for a person to convert to a user. When does it make sense to do this? This is especially useful for products that are mature and looking for ways to sustain their growth. If a product hasn’t gained significant traction yet, then it typically won’t make sense to focus your attention on other platforms. The holy grail of increasing user retention and engagement are viral loops. The concept is simple in theory, but notoriously difficult to achieve in practice. You create a viral loop when the users of your app invite one or more new users. By having friends using the same product, the product receives more engagement and retention over time, because it relates to people’s social lives. Knowing this, it’s very powerful to figure out how one can convince users to let them invite other people. Word of mouth is the strongest marketing mechanism. The caveat is that trying to shove an invitation mechanism in the user’s face while they’re using the product (think of social shares, referral programs) are considered a negative experience, because it wasn’t initiated by the user and it might break the app flow. For viral loops there are no secret formulas and it all comes down to the value of the app and what problems they solve. If it relates to people in a significant way, then they want to share it with the people they know. If you’d have to summarize user retention in one sentence, it would be that great experiences will increase user engagement and, as result, people will continue using the product and might even share the product with other people. An application can be optimized for retention by simplifying how one can start using the app, by improving engagement, and continue to improve the app. By keeping the core value of your app in mind while you continue to grow and let users engage with this in a frictionless way, you’re setting your app up for continued success over time. Go ahead and experiment. Track retention rates over time and continue to improve keeping the above in mind. Any comments or questions? Feel free to share them below, or reach out on Twitter.